In the times of high technology, have your used HAOLIXIN fast connection pipe fittings as fast as high-speed railway? HAOLIXIN is dedicated to continuous innovation of pipeline systems, its leading technology deserving trust! 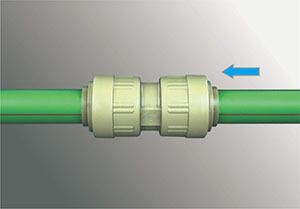 HAOLIXIN Fast connection system - In view of many years of application practice, connection can be finished only with both hands. Cut the tube and remove burrs on edge, ensure that the outside diameter is standard , then insert the tube. 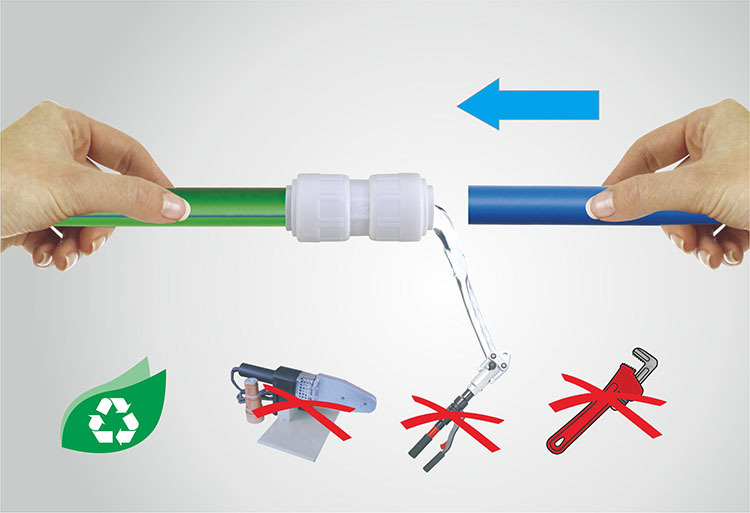 Test the system prior to use, ensure that the tube is safe to use, pull the pipe, check whether it is stuck between the pipes and fittings. To disconnect, make sure that the system has reduced pressure. 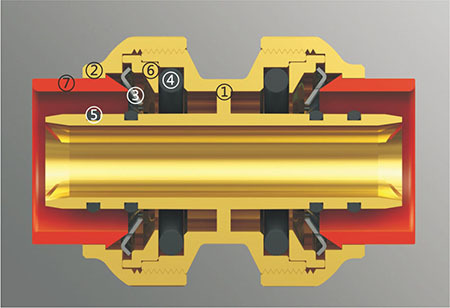 Drive the collet to the inside, and then pull out the tube. 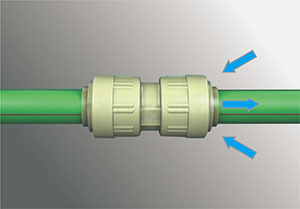 Pipes can be well connected to products just by pushing with hands. 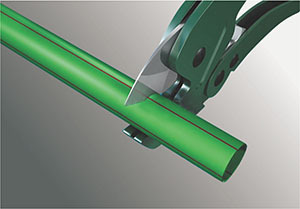 Products clamp pipes tightly and lock. Such simple systems can only be realized by Haolixin! 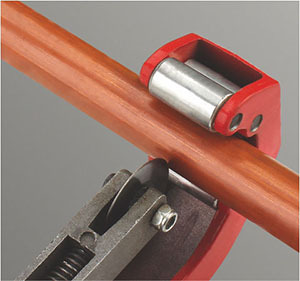 Cut pipes with pipe cutters to appropriate length to ensure notchings are vertical and flat. Use HAOLIXIN special-purpose chamfering devices and depth gauges to remove burrs on tubular materials. 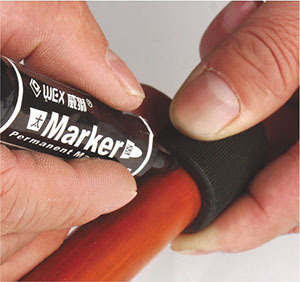 Mark out safe sealing indication lines on tubular materials. 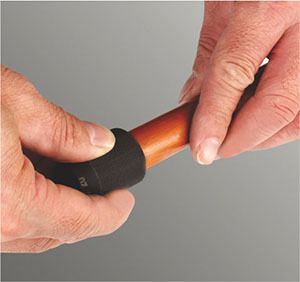 Push tubular materials inside forcibly, until “cracking” sound can be heard so as to ensure safe sealing indication lines align at pipe collars. 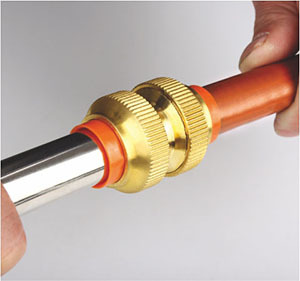 Dismantling:Place dismantling clamps on pipe junctions with one hand, push pipe collars forcibly to pull out. 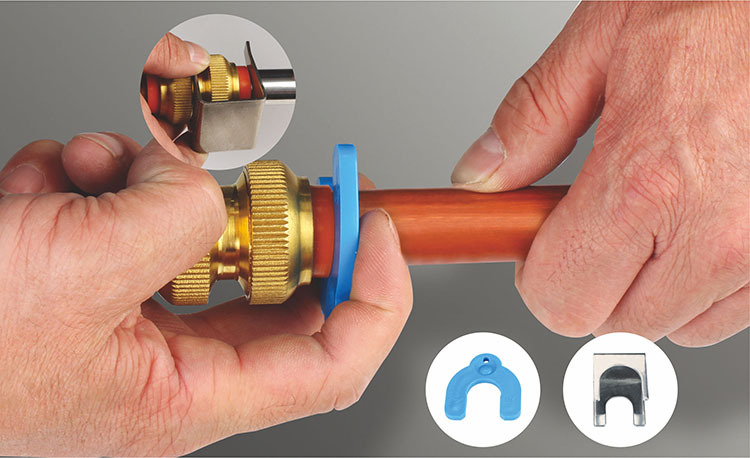 Cyclic use:Pipe fittings and tubular materials must be kept clean and in good condition. Immediate inserting can realize connection. Note: Connection of repeatedly-used pipe fittings might affect their property. Repeatedly-used pipe fittings should not be applied to permanent system.